Combination AM Radio - VHF Monitor. Bands: 25-50, 108-136, 150-175 MHz. Made in Japan. 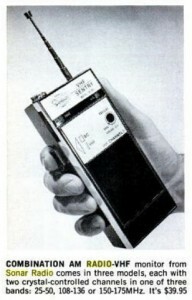 Posted in Categories: Handi-Talkie, Receiver, Sonar.